A manifesto for deep and radical change, Creating Freedom explores the limits placed on freedom by human nature and society. It explodes myths, calling for a profound transformation in the way we think about democracy, equality, and our own identities. Free markets, free elections, free media, free thought, free speech, free will-the language of freedom pervades our lives, framing the most urgent issues of our time and the deepest questions about who we are and who we want to be. It is a foundational concept at the heart of our civilization, but it has long been distorted to justify its opposite: soaring inequality, the erosion of democracy, an irrational criminal justice system, and a dehumanizing foreign policy. 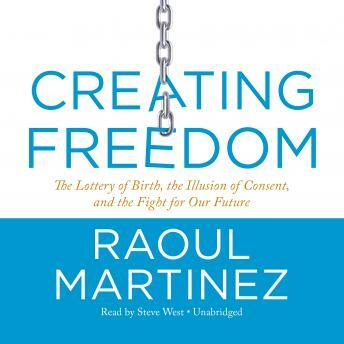 Raoul Martinez argues that the more we understand the limits on our freedom, the better placed we are to transcend them. Drawing together findings and ideas from neuroscience, criminology, psychology, politics, climate science, economics, and philosophy, Creating Freedom constructs a radical framework to make sense of the world and empower us to change it. This is a wide-ranging analysis of power, control, and freedom, which asks us to question our inherited identities, question our society, and turn the power to choose into the freedom to create.